NORTH OF LYNGEN is a new, modern apartment hotel in Norway’s most spectacular wilderness. The apartment hotel is located on a quiet street, with elegant and practical studio apartments of different sizes. 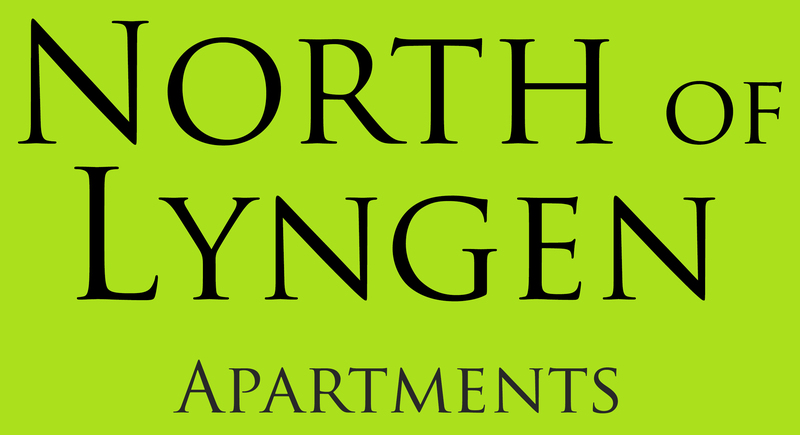 NORTH OF LYNGEN APARTMENTS is centrally located in terms of experiencing the arctic mountains, the tundra, sea and rivers. Sørkjosen is a great starting point for trekking in the Lyngen Alps, Kågen and Kvænangen. Visit other local mountains like Storsteet (1024 m.o.h.) and Blåtind, Uløya (1142 m.o.h. ), the latter with fantastic views towards the Lyngen Alps. 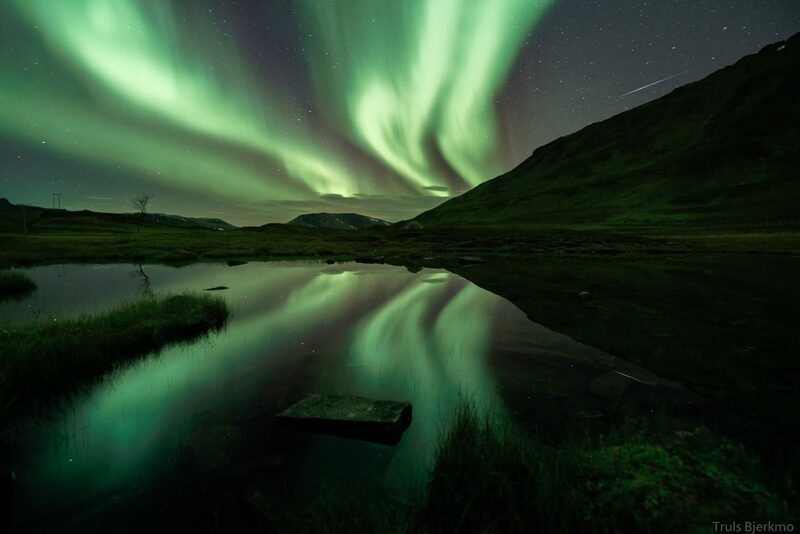 A tour with a traditional river boat on the majestic Reisa River, dog sledding in the Reisa Valley and fishing in the Reisa Fjord are other recommended activities. Our apartment hotel has two locations in Sørkjosen. 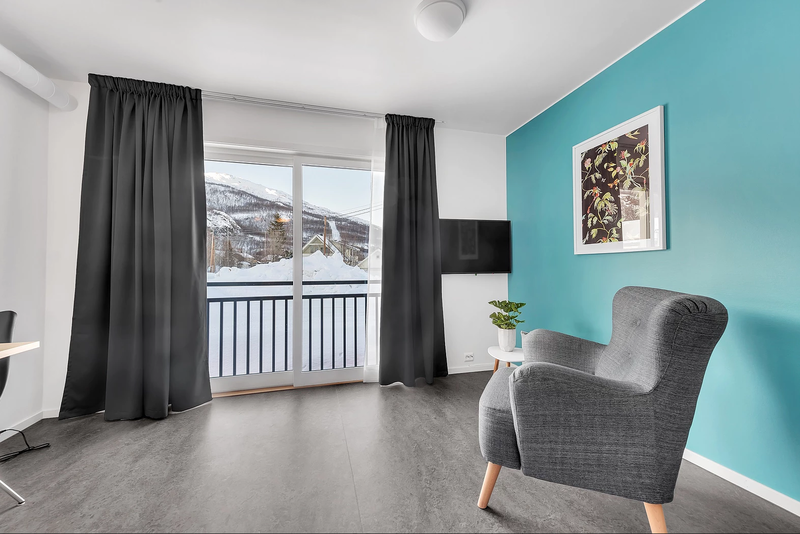 Meieriveien 14: Colorful and fresh double rooms, triple rooms and family rooms in quiet surroundings. Hovedvegen 43: Modern and comfortable double rooms (2nd floor), 200 meters from our main building in Meieriveien. All rooms have a kitchenette and a separate bathroom. We are currently building a breakfast room and conference room in our main building in Meieriveien.